With a structure framework cast-in-site there is the possibility of designing attachment points for the edge protection. Socket w rebar with integrated post lock, for example, can be cast into the wall tops in, for instance, house gables, lift- and stair shafts. After this Post 1,3 m and Barriers are installed. 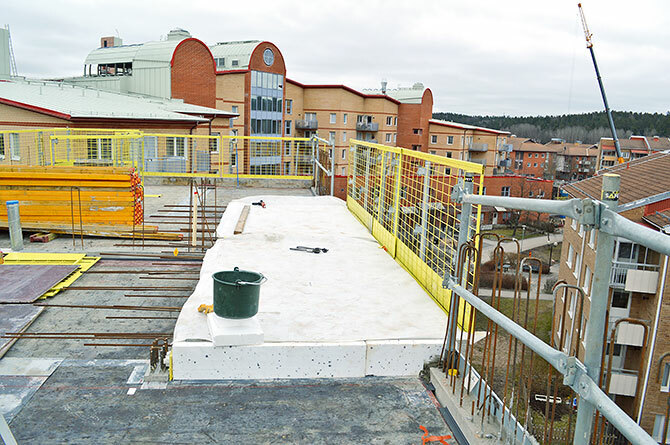 In order to be able to build external panel walls from inside the slab Balcony bracket 10 Degrees can be installed as an attachment, which gives an inclination of the edge protection by approximately 10 degrees. 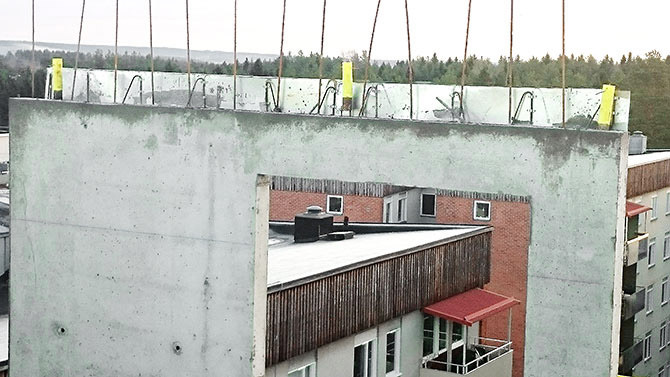 Vertical brackets can be installed on the formwork as attachments, and after that Post 1,3 m and Barrier. 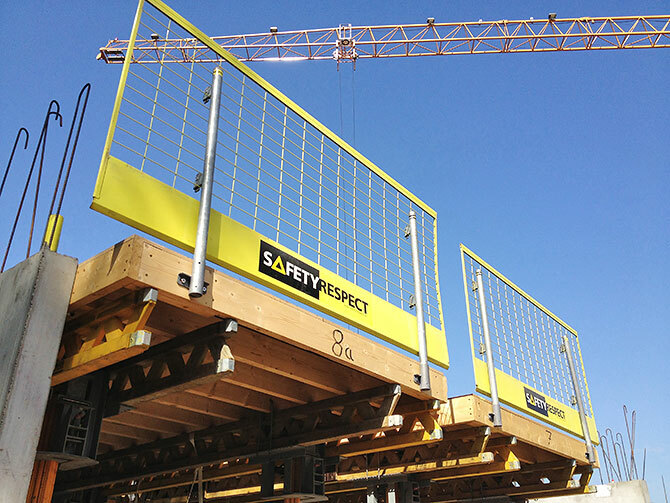 For other requirements of edge protection such as stairs, window openings, etc., there are several solutions that can be designed and cast in order to facilitate installation of edge protection and to create safer working sites.